We Effect board member, Lotta Folkesson and President for East African farmer´s federation, Elizabeth Nsimadala meet in Nairobi, to discuss women´s role in the board rooms. Being a woman among mostly male farmers, can be a challenge. Everywhere in the world. Some countries have come further than others, but still women need to stay together and share experiences, to get access to the board rooms, and the same privileges as men. 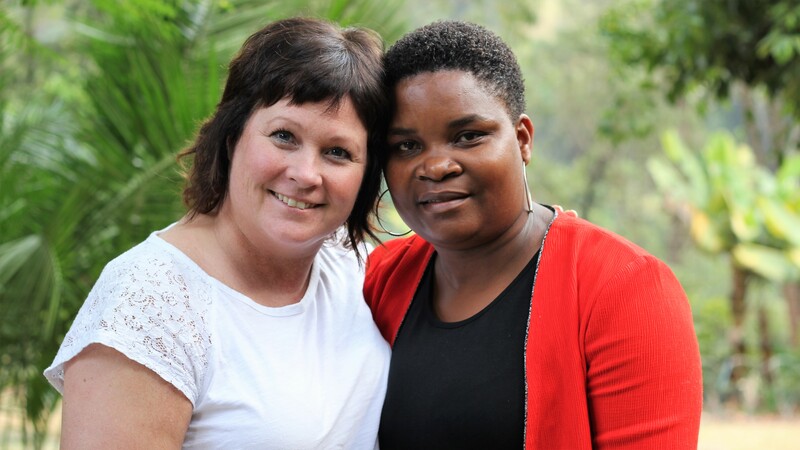 These experiences are shared by Lotta Folkesson and Elizabeth Nsimadala. They are both farmers – and influential women. They both have strong links to We Effect and have both been pioneers, in their own domains. Lotta in Sweden and Elizabeth in East Africa. Lotta started off, as one of few women among decision makers in the farmers´ organizations. – In the 90´s it felt mostly like, I was there just to fill a female quota. The men were not really interested in hearing what the women had to say, Lotta remembers. Now, that has changed, she says. The women have a natural position in the board rooms. Nobody questions their participation. But when visiting Kenya, and the female farmers´ cooperatives, she can observe something she has experienced herself. – We have done the same trip in Sweden, even if we are ahead of the east African female farmers. We still face the same problems – but on different levels. We need access to market. It´s a matter of land rights in a patriarch society. We have to fight for the female voice. We have the same issues with the work/life balance, Lotta says. 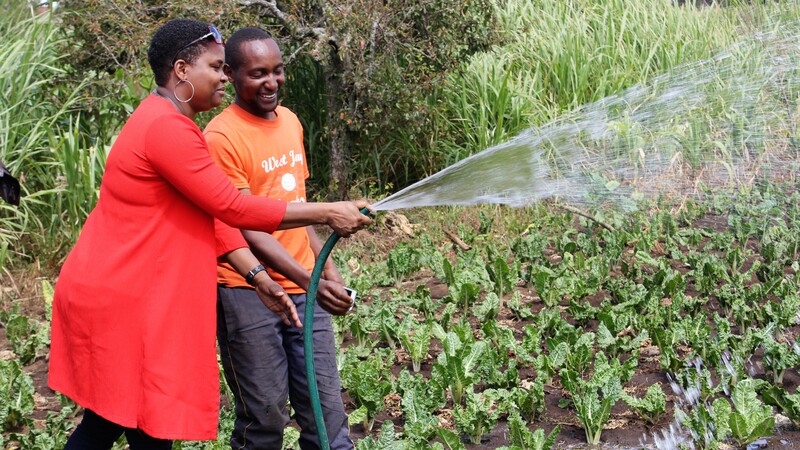 Elizabeth Nsimadala is celebrating that Dennis Kariuki now has reliable water supply at his mother´s farm. The women meet on a field trip in Kenya, visiting female cooperatives. Being a board member of We Effect, Lotta also visits Kenya for a training by the national NGO-board. Elizabeth flies in to Nairobi for meetings and work every month, also to follow up how the activities proceed in the field. – Myself, I´m a proud farmer of bananas and coffee, and I have some livestock. Furthermore, I am the first women to hold the president position of the East African farmer´s federation. Elizabeth has been determined to take seat among the decision makers, since way back. And the target is clear. – When it comes to leadership: If you want change, it has to start with you. And I said, I have to make this happen. As soon as Elizabeth gained a position at the board, it was the start point for her journey among decision makers. – It´s all about achieving results. And I’ve made sure we have a gender strategy within the organization, putting women and youth at the center of every project. Also, when it comes to leadership. This is something we promote on the regional level and the grass root level. When it comes to promoting female participation, Lotta has another experience in Sweden. – For as long as we had a women’s committee, all the gender issues were pushed there. So, we did not reach a mainstreaming, before we got rid of the women´s committee. And Elizabeth agrees, the gender awareness must be integrated throughout the structures. 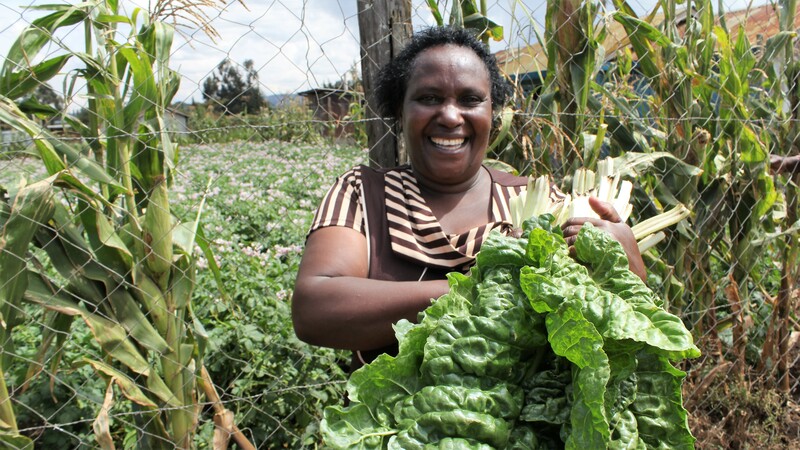 Thanks to the female cooperative, Theresiah Kimans has expanded her farming and increased her income from the produce, since becoming a widow. – Yes, it is a gradual process. It´s nothing we achieve in a month or in a year. It takes a lot of work. We have to show women we can do anything, in terms of social responsibility. Even become the president of a nation. Since We Effect implements gender equality in all projects, this is something both find crucial, in order to move forward towards a more equal society. – I appreciate the new strategy of We Effect, putting gender equality in the first position. Your support has created an impact in the fields. You can see that among the farmers, Elizabeth states. And Lotta, seeing how the policies are realized in the field, is now quite convinced that We Effect and the partners are on the right track. – My strongest feeling going home is, I can tell the donors they make a difference, changing the lives of these women. That the money is used in the right way.